Life is Short. Eat the Cupcake. Well, it’s the middle of a grueling work week and a kind soul brought in carrot cake. Yeah, it’s a good day. Maybe it was the cream cheese icing that did me in. Or the orange-speckled center. Or the fact that I was breakfast-less at 10:00 a.m. and needed a pick-me-up. Regardless, as I stood in the middle of our break room and savored the sugary deliciousness, I smiled. Not just a simper of content, no. This was a thorough, full blown “life is grand” type of smile. I know what you are thinking. It’s only carrot cake, Olivia. That may be true. But does it matter? Do we really need to justify the little things in life that turn our frowns upside down? I certainly don’t think so. Perhaps for you it’s your morning coffee. Or hitting the snooze button for a few extra, glorious minutes. 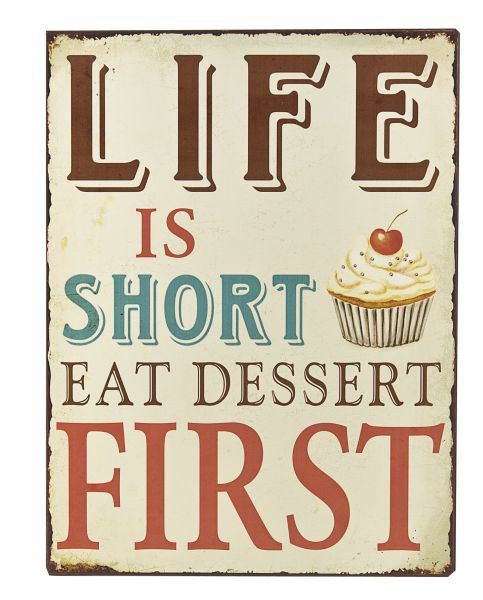 Or maybe you, like me, relish in the delight of desserts which, consequently, leads you to an hour on the Stairmaster. (If that is the case, I think we will get along pleasingly well) The point is, it matters not how others perceive your interests. It matters how your interests make you feel. So, if you want the cookie for breakfast, eat it. If you want to backpack across Europe, do it. Whatever it is that brings you joy, that diminutive glimmer of light in your day, keep at it. For life is too short to be anything less than happy. This topic of life is short, be happy has been in my thoughts a lot lately. It’s funny to point out that we often do seek justifications for why we do what we do, defending ourselves and choices. Against who and why? Happiness shouldn’t come from the approval of others, yet somehow when I’m thinking about ordering a slice of apple pie, my husband manages to kill the joyful anticipation of the delicious taste of autumn with, “You’re not really going to get that, are you?” Uggggggg. What’s apple pie? It’s crisp autumn air, falling leaves, my birth month, toting a basket through the orchard picking the best apples from the tree, and on the drive home begging mom to make a pie. Apple pie = happiness. I love this. Apple pie certainly is happiness for me as well, but I love the story behind its meaning for you. Thanks for stopping by! We in hospital work nevber discount food, OR the time to eat the food. Both precious and often quite out of reach. I’ve often eaten dinner after midnight, after I left. Not many place open! I love this but I hate carrot cake. I’d choose something different but the point is the same. Eat it! Thanks for letting me camp out in your blog for a little while today. I had a great time and tried to leave my campsite as good as when I arrived. I’m following you, so I’ll be back! Happy Holidays! Thank you for stopping by for a visit! Happy Holidays to you as well!